Joseph Grazi, "Panthera Regal" 2016. Colored pencil on paper, framed. 30" x 24". Joseph Grazi, "Mufasa" 2016. Taxidermy bats, dried butterflies, and stone sculpture on wood mounted in plexiglass. 34" x 34" x 8". Joseph Grazi, "Panthera Morta" 2016. Colored pencil on paper, framed. 33" x 25". Joseph Grazi, "Panthera Rapax" 2016. Colored pencil on paper, framed. 24" x 30". Joseph Grazi, "Panthera Defendo" 2016. Colored pencil on paper, framed. 33" x 25". 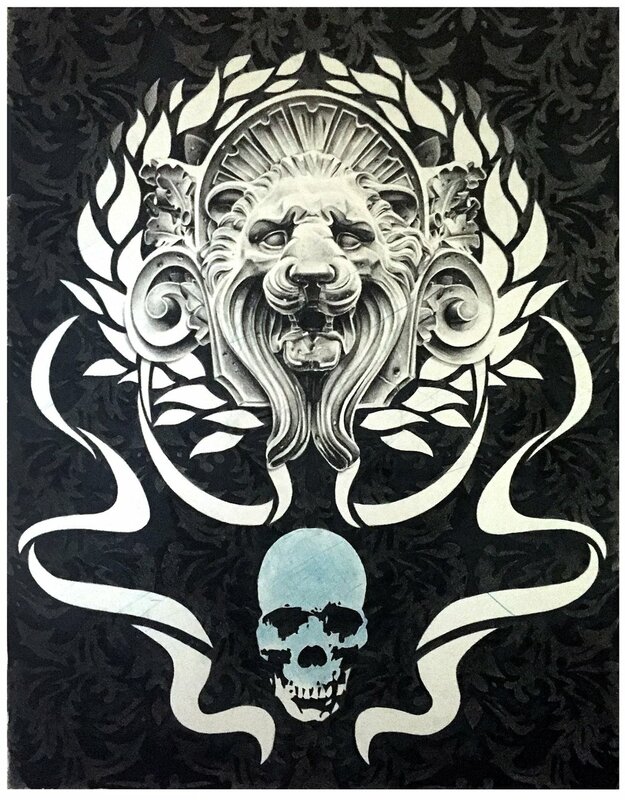 Joseph Grazi, "Panthera Angelica" 2016. Colored pencil on paper, framed. 32" x 43". Joseph Grazi, "Panthera Forta" 2016. Colored pencil on paper, framed. 20" x 20". 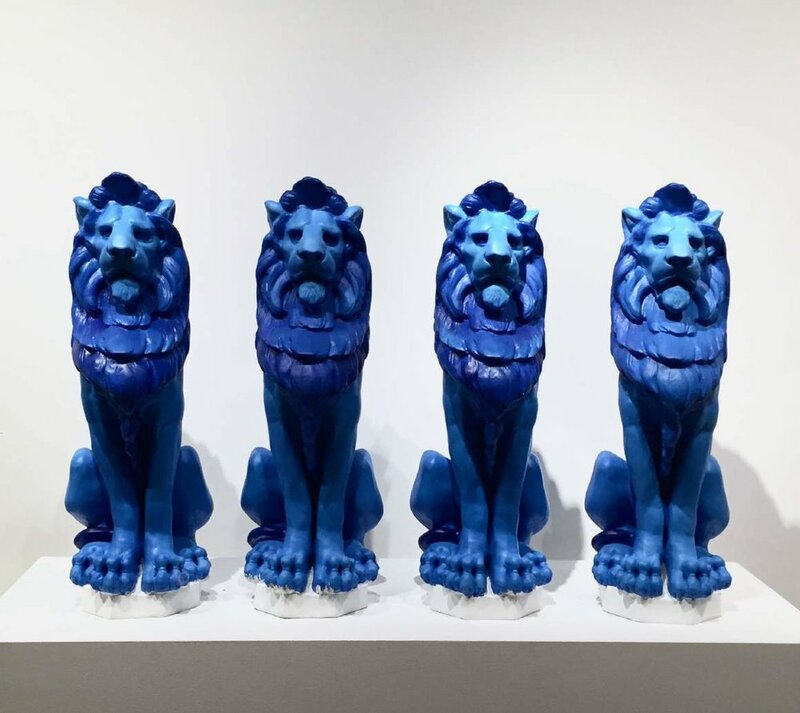 Joseph Grazi, "Panthera Aesthetica" 2016. Colored pencil on paper, framed. 36" x 35". 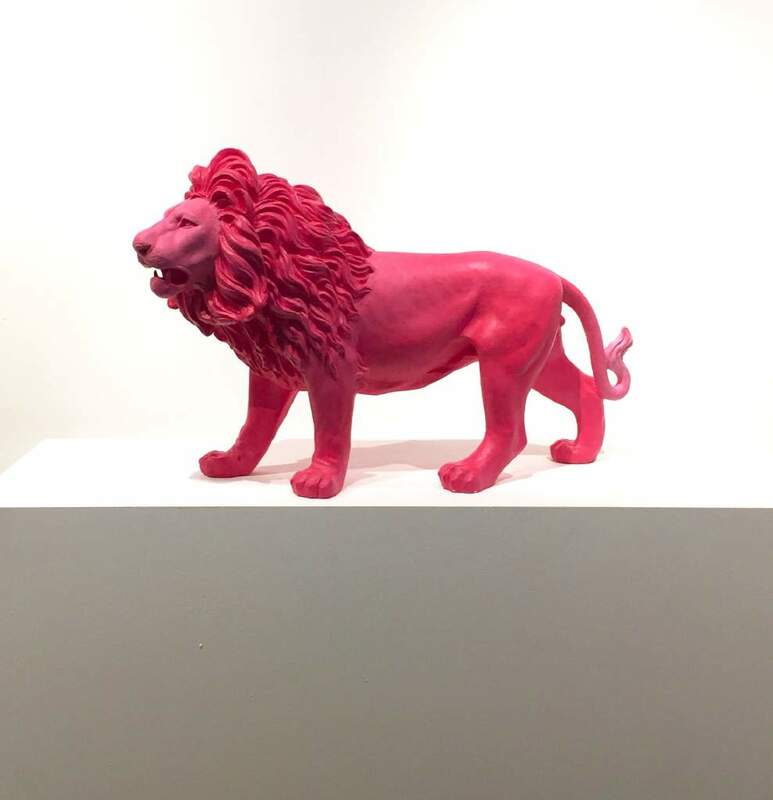 Joseph Grazi, "Simba" 2016. 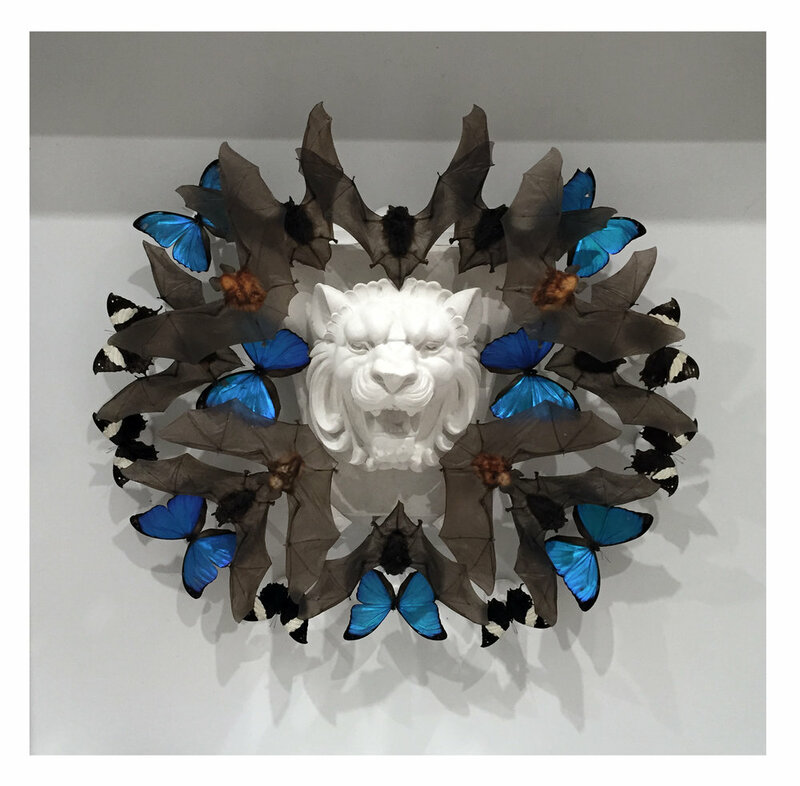 Taxidermy bates, dried butterflies, and stone sculpture on wood mounted in plexiglass. 34" x 34" x 8". Joseph Grazi, "Panthera Nobla" 2016. Colored pencil on paper, framed. 23" x 23". Joseph Grazi, "False Idols" 2016. Acrylic on stone. 10" x 12" x 31". Joseph Grazi, "False Prophet 2" 2016. Acrylic on stone. 25" x 37" x 11". Joseph Grazi, "Scar" 2016. Taxidermy bats, dried butterflies, and stone sculpture on wood mounted in plexiglass. 34" x 34" x 8". Joseph Grazi, "False Prophet 1" 2016. Acrylic on stone. 25" x 37" x 11". Joseph Grazi, "False Prophet 1 & 2" 2016. Acrylic on stone. 25" x 37" x 11". 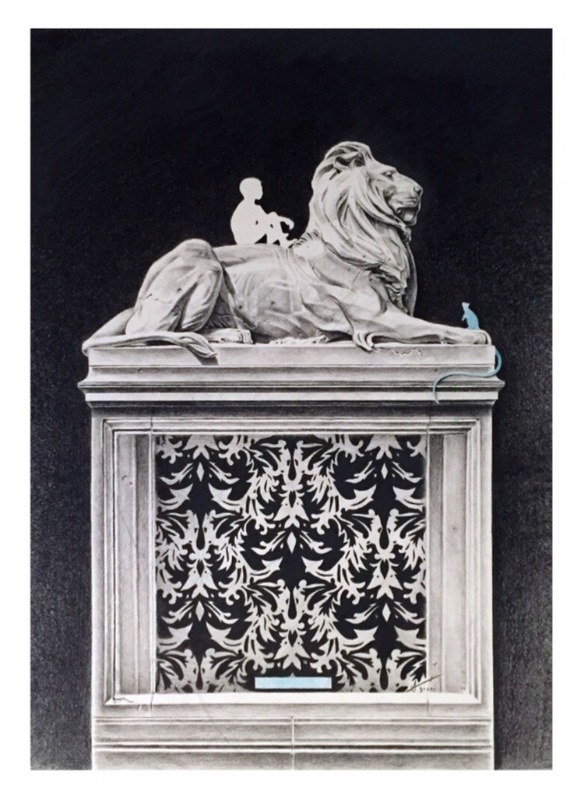 The Joseph Gross Gallery is pleased to present Cecil: A Love Story, a multimedia exhibition that examines the public's erratic moral compass in the wake of highly publicized tragedies. Through various media, the artist creates a dialogue surrounding how we percieve and process atrocities committed against human beings versus those against animals.